The Peoples Democratic Party has said the Senate President, Bukola Saraki; the Speaker of the House of Representatives, Yakubu Dogara, and their supporters are welcome in the PDP should they decide to dump the ruling All Progressives Congress. The opposition party said its doors are open to defectors in the National Assembly. The APC had chosen Ahmed Lawan and Femi Gbajabiamila to run for Senate President and Speaker of the House of Representatives, respectively. Bukola Saraki and Dogara, however, moved against the party’s decision. With the backing of members of the PDP and other opposition parties, the duo emerged winners in the National Assembly leadership election held on Tuesday. Consequently, there have been fears that the APC might punish the rebel lawmakers. Speaking to SUNDAY PUNCH on Saturday, the Deputy National Publicity Secretary, PDP, Abdullahi Jalo, said the party was ready to accept Saraki, Dogara and their supporters in the National Assembly back to its fold. Saraki was one of the leaders of a breakaway faction of the PDP known as the New PDP, which later merged with the APC. Jalo stated that the PDP would continue to run a party that allows every Nigerian to join it whenever such individual wanted to. According to him, there is no absolute proviso preventing defection from one party to another. He said, “Any politician is entitled to join any political party that he so desires to join. The PDP is for everyone. We don’t quarrel with anybody. We are still soliciting for more acceptability. “The PDP is open to the Senate President, Bukola Saraki; Asiwaju Bola Tinubu (former Governor of Lagos State and national leader, APC); Bisi Akande (former Governor of Osun State and ex-National Chairman, APC, Chief) and any other persons in the ruling APC. “The PDP is large enough to accommodate many people of diverse backgrounds. That is why we remain the largest party in Africa. We are never going to stop anybody from leaving or victimise them after they have left. A source in the PDP, who spoke on the condition of anonymity, however, told one of our correspondents that some prominent politicians in the APC had begun talks with the PDP in view of the 2019 presidential election. “In the APC, we have people who have signified their interest in the 2019 presidential election. They will come when the time is appropriate and we will accommodate them,” the source said. A former Minister of Aviation and Director of Media and Publicity, PDP Presidential Campaign Organisation, Mr. Femi Fani-Kayode, said he was delighted about Saraki’s senate presidency, with Senator Ike Ekweremadu of the PDP as his deputy. “It is evident that the PDP is on the rise again,” he added. 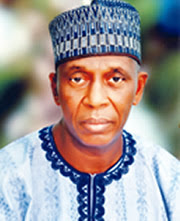 A former Minister of Transport and member of the PDP’s Board of Trustees, Ebenezer Babatope, also described Sakari’s emergence as Senate President as a “very good and positive development” for Nigerian’s democracy. He pointed out that having an APC senator as the senate president and PDP as the deputy would strengthen Nigerian democracy, and remove as parochialism from partisan politics in the country. Babatope said, “Don’t forget, we have a good number in the Senate. PDP senators are 49 out of 109; that is a very strong number. There is no way APC will not rely on the PDP members to have effective results in the Senate.